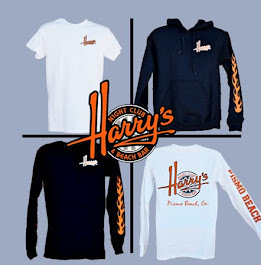 Harry's Night Club & Beach Bar: St. Patrick’s Day - What? Why? When? St. Patrick’s Day - What? Why? When? St. Patrick’s Day occurs annually on March 17 in observance of the death of St. Patrick, the patron saint of Ireland. What began as a religious feast day in the 17th century has evolved into a variety of festivals across the globe celebrating Irish culture with parades, special foods, music, dancing, and a whole lot of green. HARRY'S ANNUAL ST. PATRICK'S DAY PARTY! We will be serving Shepard's Pie from 3pm-5pm, offering Drink Specials & Green Beer, *DJ Camote will be here 2pm-6pm, and from 9pm to close we have Live Music by Cougrzz Rock! 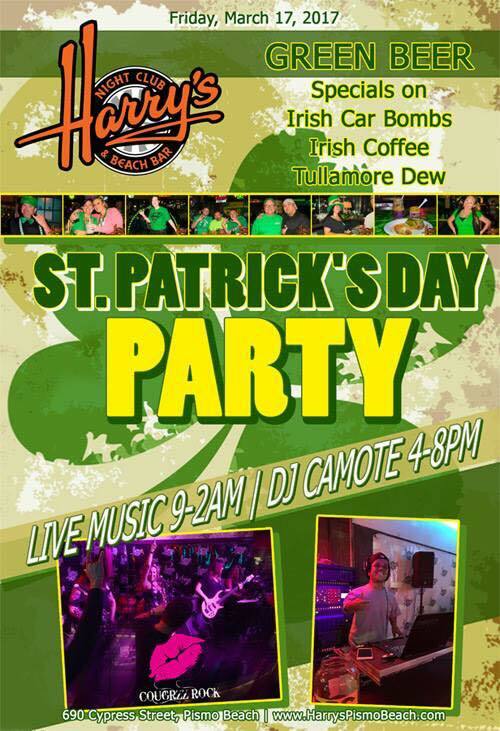 Dress up and come down and join us for the best St. Patrick's Party on the Central Coast! You really can't beat the food at this party venue; they have the best vegetarian meals and the most adorable dishes for the kids. The service also was impeccable. The salad I had for dinner was delicious as well as the scallop appetizer. The main course of filet mignon and dessert soufflé was also awesome! St. Patrick's Day Party in Pismo Beach!